Partcipants of the 2011 Seminary student Michigan Adventist History one-day tour were able to visit the Old Rugged Cross church where the hymn was sung for the first time. The tour also visited the site of the 1909 camp meeting in Three Rivers, Michigan, the place where George King began colporteur work for the first time, and the Burlington Seventh-day Adventist church, an early congregation connected to many interesting stories, and other sites as well. The tour was April 16, 2011. Many Seminary students participated. The tour included visits to sites in Otsego, Allegan, Wright, Michigan. Also the tour stopped along the Kalamazoo River to talk for a moment about Edson White’s mission boat the Morning Star. It rained off and on for most of the day, but tour participants reflected on how meaningful it was to be able to go to these places and hear the stories of what happened there. The Center for Adventist Research book sale is back! The 2011 Spring book sale begins Monday, March 28, at 4:00p.m. There will be hundreds, of used Seventh-day Adventist books, pamphlets, periodicals, audio-visuals, and Ellen White books for sale. There is also a limited amount of audio-visual equipment and some office supplies for sale. The books range from the very old to the relatively recent; from excellent condition to poor condition. 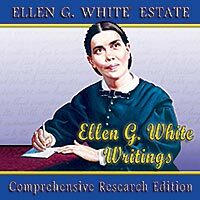 There are a good number of pioneer writings and a wide variety of Ellen White’s published books. The best titles tend to disappear quickly, so don’t delay. The books are competitively priced and will be less costly than at the various online sources for Adventist used books. We accept cash or checks. (Credit and/or debit cards will not be accepted.) The sale begins March 28 and will conclude at 9 pm on April 8. The sale hours will match the Center’s public hours: Monday to Thursday 9 am to 9 pm, Friday 9 am to 1 pm, and Sunday 4 pm to 8 pm. For more information, you may call the Center at (269) 471-3209. We extend a general invitation to pastors in the Lake Union, religion and theology professors at Adventist colleges, scholars of Ellen White and Adventist studies, Seventh-day Adventist Theological Seminary students, and other interested persons to attend our seventh annual Ellen G. White and Current Issues Symposium. It will be held on Monday, March 28, 2011, from 9:00 a.m. until 4:45 p.m., in the chapel of the Seventh-day Adventist Theological Seminary on the campus of Andrews University in Berrien Springs, Michigan. The purpose of this symposium is to break new ground in understanding Ellen White and issues relating to her life, ministry, and prophetic gift that have current importance. The structure of the symposium will have some elements of academic formality. Papers will be presented with a prepared response followed by a brief responses from the presenters. The papers presented will later be published in a journal that will be available at a reasonable cost. At the symposium we will also make available the published presentations from the 2005 through the 2010 symposiums. At the meeting there will be an opportunity to submit questions relating to Ellen White and current issues. We will attempt to discuss as many of these question as time will allow in the afternoon. Our speakers this year are Jiri Moskala, Dwight K. Nelson, James R. Nix, Gluder Quispe and Ranko Stefanovic. There is no charge for attending the symposium. Some copies of this invitation are being sent directly to area pastors, teachers, administrators, and students. We look forward to seeing you on March 28. Though this will be an academic symposium it is our intention that it also provide spiritual encouragement and inspiration for those who attend. Click the link to download the Study Guide for Dwight Nelson's devotional talk. We extend a general invitation to our sixth annual “Ellen G. White and Current Issues” Symposium. It will be held on Monday, April 5, 2010, from 9:00 a.m. until 4:45 p.m., in the chapel of the Seventh-day Adventist Theological Seminary on the campus of Andrews University in Berrien Springs, Michigan. The purpose of this symposium is to break new ground in understanding Ellen White and issues relating to her life, ministry, and prophetic gift that have current importance. The structure of the symposium will have some elements of academic formality. Papers will be presented with a prepared response followed by a brief opportunity for questions from the floor. The presentations will later be published in a journal that will be available at a reasonable cost. At the symposium we will also make available the published presentations from the 2005 through the 2009 symposiums. At the meeting there will be an opportunity to submit questions relating to Ellen White and current issues. We will attempt to discuss as many of these question as time will allow in the afternoon. Our speakers this year are Van G. Hurst, Denis Kaiser, George Knight, Isaac Olatunji and Tim Poirier. There is no charge for attending the symposium. On September 23, 2009, the Seventh-day Adventist Theological Seminary and the Center for Adventist Research at Andrews University held a memorial service "Remembering Elder Edward Earl Cleveland: Learning from a Life of Mission and Ministry. The program and a nearly 14-minute audio-visual presentation featuring memorable remarks by Cleveland are provided. Cleveland is remembered as a preeminent twentieth-century evangelist, preacher, civil rights activist, mentor, and leader in the Seventh-day Adventist Church. He did evangelism and preaching in over 70 countries and six continents over a period of more than 60 years. Thousands of people trace their conversion to the influence of this man. In November 2007 Edward Earl Cleveland donated to the Center for Adventist Research his personal papers consisting of nearly 2,000 sermons, manuscripts, clippings, photographs, audio and visual recordings, artifacts and books. They are contained in 44 archival boxes and are described in the personal papers register. At the time of the donation, Cleveland also was interviewed and reflected on his life and ministry. The 40-minute interview is available through the Center. 44 archival boxes of materials contain the collection. 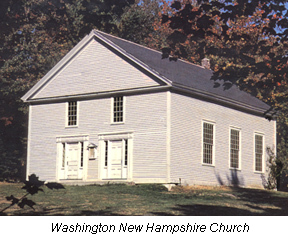 They include personal papers with several thousand sermon manuscripts, clippings, and manuscripts. There are many artifacts and particularly dozens of awards he received over the years. The collection also has photographs and many of the books that were in his personal library. There are also audiovisual materials that were produced over the years. 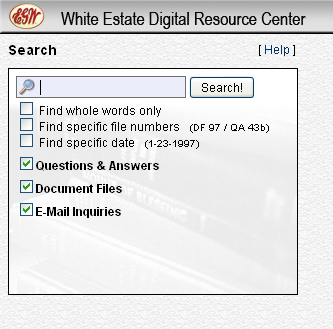 The White Estate is pleased to announce the availability of the online White Estate Digital Resource Center that makes the White Estate’s Question & Answer file and much of our Document File available for electronic searching. It also includes hundreds of informative email responses to questions asked of our office. You will be amazed at the amount of material and wealth of information now available at your desktop. The White Estate Digital Resource Center is one of the many sources of information available at www.whiteestate.org. 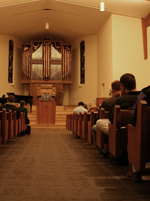 On April 6, 2009, the Center will hosted the fifth annual “Ellen White and Current Issues" symposium in the chapel of the Seventh-day Adventist Theological Seminary. The papers, presented at the symposium, will soon be available for purchase. For your convenience information about the presenters and program is available for download. On April 2, 2007, the Center will hosted the third annual “Ellen White and Current Issues" symposium in the chapel of the Seventh-day Adventist Theological Seminary. The papers, presented at the symposium, will soon be available for purchase. For your convenience information about the presenters and program is available for download. 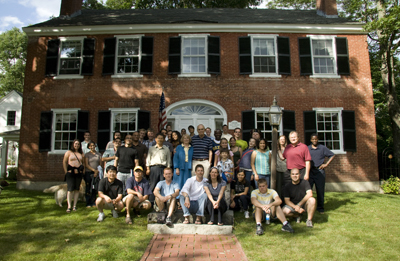 August 14-21, 2005, the Center and the Theological Seminary are conducting a New England Adventist History Tour that will be led by Jerry Moon and Merlin Burt. This tour allows seminary students to earn academic credit and provides a rich opportunity to connect with Adventist heritage. On April 4, 2005, the Center hosted the first “Ellen White and Current Issues Symposium” in the chapel of the Seventh-day Adventist Theological Seminary. We are right now in the process to publish the papers of the symposium. The booklet will be probably available at the end of July. Our first publication in the Heritage Treasures Series is now available. 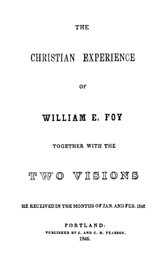 We have an original copy in our vault of the 24 page tract by William Foy entitled, The Christian Experience of William E. Foy Together with the Two Visions He Received in the Months of Jan. and Feb. 1842. This tract was published in Portland, Maine in 1845. Our plan is to publish two tracts a year in the Heritage Treasures Series. We are considering publishing the Hiram Edson manuscript next fall. These beautifully printed tracts will be treasured by those who appreciate Adventist history. 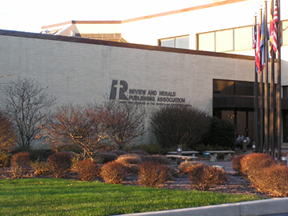 On December 15, 2004, the Review and Herald donated to CAR the rare materials from their editorial library. Merlin Burt and Jim Ford packed up the several thousand volumes and brought them to Andrews in a truck. We are in the midst of accessioning them. The collection will remain distinct as a legacy of the Review and Herald. The publishing house is to be commended for thinking of how this collection can be most effectively used by the Seventh-day Adventist Church. This is perhaps the most significant transfer of Millerite and early Adventist materials since Potomac University was moved to the newly formed Andrews University some 45 years ago. In November the Center received a significant donation of Ellen G. White rare materials from Judy Blodgett which were collected by her late husband Ralph. Ralph spent much of his adult life collecting nearly every early publication by Ellen White. Not only were we able to expand our own Ellen White holdings but this donation also enabled the main office of the Ellen G. White Estate to complete their collection of original Ellen White Testimony for the Church tracts. 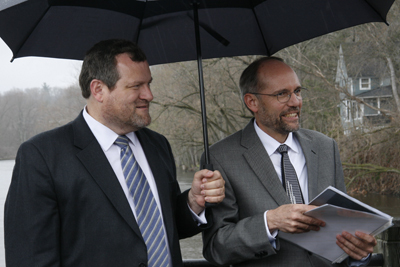 Last April the new integrated Center for Adventist Research was dedicated. By the end of 2004 most of the White Estate Library is now integrated with the rest of the collection.